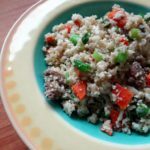 When I share a recipe on this blog, it has to be both nutritious and delicious. I may be on a healing diet, but that doesn't mean my taste buds need to suffer. 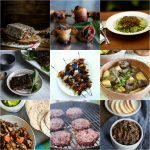 Organ meats present a unique challenge, due to their strong flavors and odd textures, but they're also 10-100 times more nutritious than muscle meats, putting them at the top of the “healing foods” list. So, this year, I started an Organ Love series. Challenge accepted! The first time I had chicken hearts, their texture was tough and I had to make myself clean my plate. 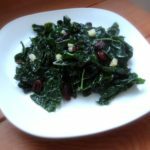 I've been experimenting with recipes ever since, and finally came up with one where the hearts are tender, full of delicious flavor, and easy to prepare. With this recipe, I'm sad when the last heart disappears. I hope you enjoy it, too. 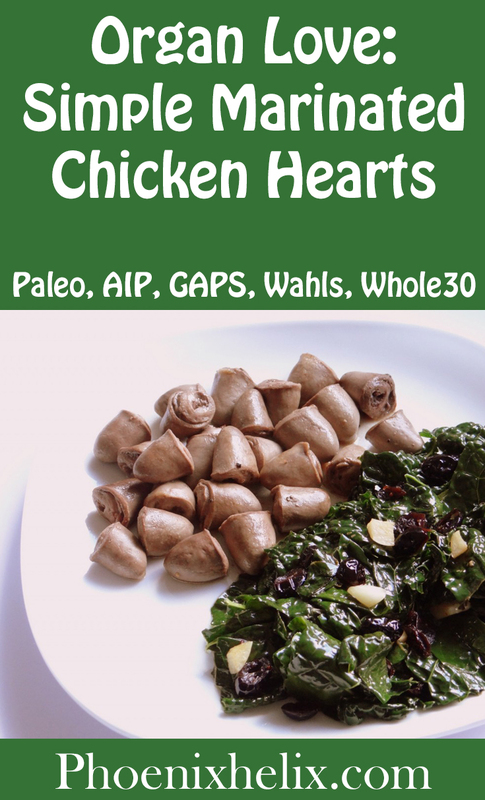 Chicken hearts contain considerable amounts of all the B vitamins, as well as many essential minerals. Today, I'm going to focus on vitamin B12. Did you know that B12 deficiency can actually mimic autoimmune disease, and that correcting this deficiency, can eliminate symptoms? That's a powerful reason to get more B12 in the diet. But even if your autoimmune disease is genetic/epigenetic in origin, B12 still helps: by balancing your immune system, boosting your mental function, increasing your energy levels and promoting healthy sleep. 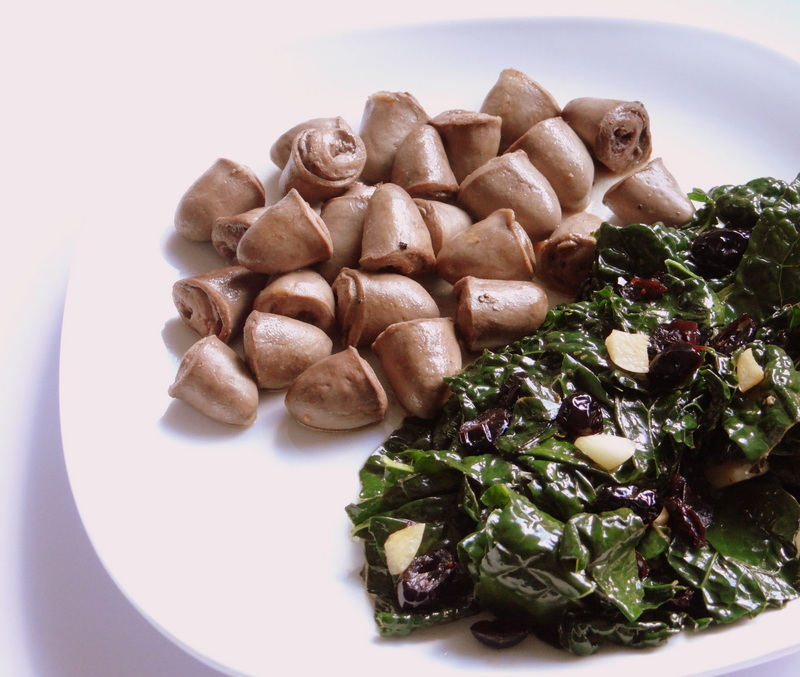 For more delicious nutrition, check out my recipe for kale with cranberries, featured alongside the chicken hearts in the photo above. US Wellness is an online meat provider that's a favorite in the paleo community. They sell a wide variety of grass-fed organ meats, including chicken hearts, chicken livers, bison liver, beef liver, beef heart, beef kidney, beef sweetbreads, beef organ sausages, lamb heart, lamb kidney, lamb liver, and lamb sweetbreads. Put 1 Tbsp. olive oil, along with the rest of the ingredients, in a small bowl. Stir with a fork and pour over the hearts. Marinate in the refrigerator 1-2 hours. Heat the remaining Tbsp. olive oil in a large skillet over medium-high heat. Use a slotted spoon to transfer the hearts from the bowl to the skillet. Sauté 5 minutes, tossing the hearts occasionally, to be sure they cook evenly. They taste good warm, or at room temperature.